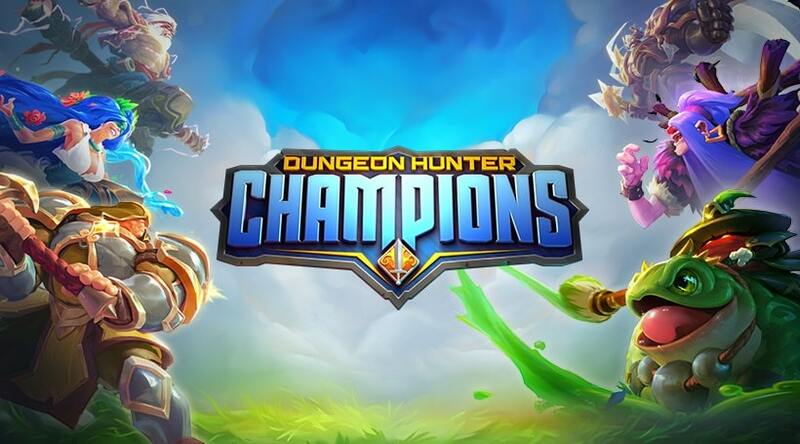 Dungeon Hunter is a title that has been around for a long time and it gained a large fan base, however fans of the series will probably not be happy with Dungeon Hunter Champions for PC. Dungeon Hunter Champions is an RPG from Gameloft with elements of a dungeon crawler thrown in. 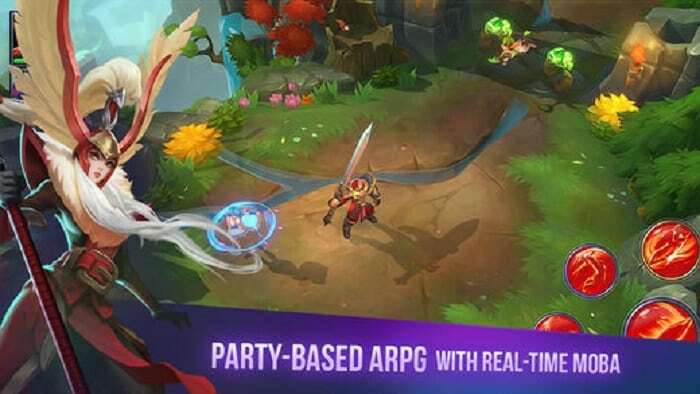 The main difference in this game is that instead of taking control of one hero, you are playing with several of them as they recreate legendary adventures based on the history of the realm that they inhabit. They think that it is just for entertainment however their actions have real effects on their realm. The characters available vary in what they can do, with each one having at least 4 unique abilities and a few of them who have a fifth. These unique abilities include healing spells, fighting power, and crowd control. A cool-down timer acts as the limiter for how often you can use the special abilities. Each character has at least three upgrade trees. The player will use one of very many in-game currencies as a way to upgrade those trees while they figure out which one of those characters is worth playing with. Understanding which currency is used for what will take a while to get the hang of. Fights come and go rather haphazardly and they have many different kinds of fights such as boss fights, duels, MOBAs and chases. The types of fight may vary however the way to play them remains the same. The controls are simple enough. A virtual pad on the corner of the screen gets you around the dungeons and you fight by mashing the action buttons on the opposite corner. The button-mashing and battles are so simple that at one point you can even set the game into automatic and let it play out the battles for you. Dungeon Hunter Champions for PC does well as an RPG. It is definitely one of the better-looking mobile games available on the market with good lighting and well-designed dragons. The fight scenes play out so well that you’re tempted to take screen-shots. Dungeon Hunter Champions is really just a big ball of shiny lights and interesting animations. It is not unique at all and it uses so many statistics and numbers that most players will think that they are in a mathematics class. Most of those stats and numbers aren’t even necessary for gameplay. The first game in this series was basically a mobile version of Diablo and people loved that. Over time this loveable series has been taken over by the evils of free-to-play to the point that even the most die-hard fan will be put off. And that was before Dragon Hunter Champions was even released. This is not the Dragon Hunter for people who were fans of the first few games. It probably isn’t for you if you enjoyed the later additions to the series either. This is a game that has taken a step in a completely new and ineffective direction. Sometimes when playing Dungeon Hunter Champions, bluestacks ask you fee to pay but gives you option to download some apps. Every time it asks you just select “Install apps” and continue using it free. I hope you enjoyed this article, please rate and share. 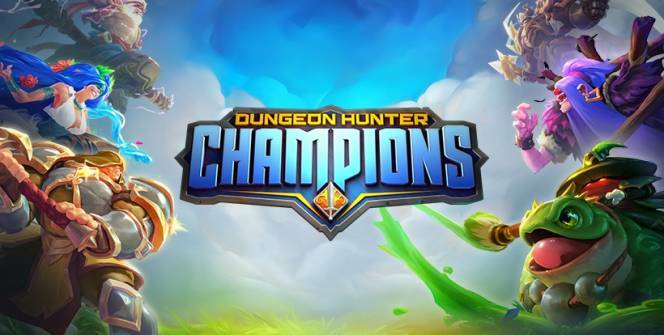 If you have problems running Dungeon Hunter Champions on your desktop or any other issues, leave a comment below.